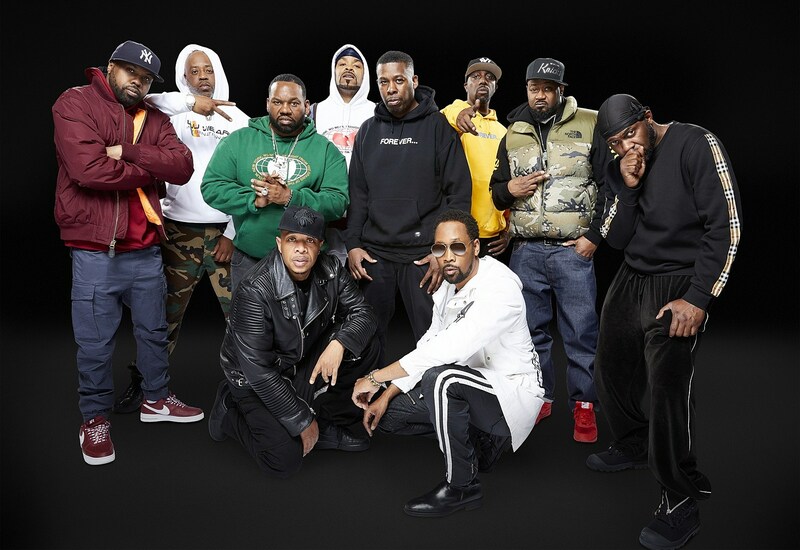 The Wu-Tang Clan docuseries, Of Mics and Men, premieres on Showtime on May 10 but they’ll be screening the first episode for Tribeca Film Fest at Beacon Theatre on April 25. All living members of the band — RZA, GZA, Inspectah Deck, U-God, Ghostface Killah, Method Man, Raekwon da Chef, Cappadonna and Masta Killa — will be in attendance and tickets are on sale now. This is part of Tribeca Film Festival’s “Tribeca TV and Now” lineup that includes a In Living Color reunion on April 27 at Tribeca Festival Hub with Keenan Ivory Wayans, and co-stars Shawn Wayans, Kim Wayans, Tommy Davidson, David Alan Grier, and Rosie Perez. There’s also a 30th anniversary of The Simpsons event on April 28 at BMCC with James L. Brooks, Matt Groening, Al Jean, and Matt Selman, and voice cast member Harry Shearer. There are also an event celebrating the final season of Mr. Robot on April 28 at the Tribeca Festival Hub with Rami Malek, Christian Slater, Carly Chaikin, and creator Sam Esmail. There’s a 35th Anniversary screening of This is Spinal Tap on April 27 at Beacon Theatre with a Q&A with stars/writers Christopher Guest, Michael McKean, Harry Shearer, and Rob Reiner to follow (tickets). Martin Scorsese and Robert De Niro will be in conversation at Beacon Theatre on April 28 to talk about their decades of collaborations, including the upcoming (tickets). Francis Ford Coppola will present a 40th anniversary screening of Apocalypse Now at Beacon Theatre on April 28 and will stick around to talk about it too (tickets). There’s a screening of Between Me and My Mind, a documentary about Phish’s Trey Anastasio, which happens at Beacon Theatre on April 26 that includes a performance by the Trey Anastasio Band (sold out). There are also Tribeca Talks events with Mike Birbiglia & Sarah Silverman, Questlove, Queen Latifah and more. Apart from the Beacon Theatre events, which are on sale now, individual tickets to Tribeca Film Festival screenings and events go on sale March 26 at 11 AM.